Who does not deal with anxiety on an everyday basis? Anxiety is the internal response from the body to fear, worry and apprehension. We don’t even understand why we are experiencing much of our anxiousness most of the time. There can occasionally be physical responses for example palpitations, shortness of breath, sweating and chest pain. However there are numerous treatments and aromatherapy for anxiety relief is one particularly favourable solution. 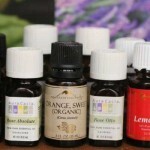 The idea of using aromatherapy for anxiety relief dates as far back as ancient Egyptian times. Hence, the fact that aromatherapy is quite popular today as a means for battling anxiety shouldn’t be new to you. 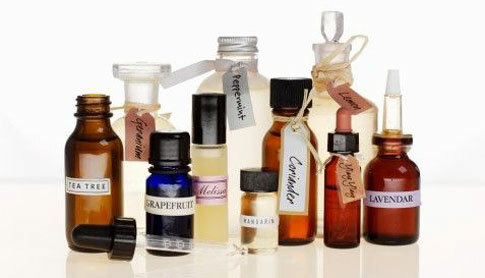 The essential oils used in aromatherapy and their rich fragrances are very effective in alleviating anxiety. The vaporized essential oil penetrates your bloodstream and into your central control system to alter brain functions and your mood. You can reduce anxiety quickly and improve other brain functions such as concentration and focus. This type of oil is taken from the flowering top of the lavender plant and is often colourless. It is quite versatile and has been used for its therapeutic effects even way back ancient times. The sweet floral aroma produces a calming and relaxing effect when inhaled during anxietyful situations. Even a few sniff of the lavender essential oil is known to reduce anxiety levels in an instant. Other proven effects when used with people suffering from anxiety is the regaining of balance, clarity of mind, and a feeling of relaxation. Several applications of lavender essential oil mainly use it for fragrance. The scent from the oil enables you to relax. In most cases, lavender oil is applied to a person’s handkerchief and whenever one feels restless, they simply inhale it to achieve relief from anxiety or fatigue. Eucalyptus comprises a wide range of application in aromatherapy. It is very effective in fighting respiratory diseases and the bacteria or virus that cause them. The essential oils are usually gathered from the young twigs and leaves of the tree. It produces a very soothing aroma that helps clear out any blockage in your nasal passages. That same soothing effect also makes it suitable for combating anxiety. It scent helps clear your head thus battling any feeling of sluggishness, restlessness, confusion, and the like. Meanwhile, the benefits range from increased creativity, clear-headedness, vitality, and more energy. This type of essential oil is extracted from the bark of the cinnamon tree. Cinnamon oil exudes a sweet and warm aroma, thus making it very suitable for use in aromatherapy. The thing with anxiety is that it is often mental, more than physical. Therefore, aroma emitted by cinnamon essential oil helps to eliminate any mental anxiety that is afflicting a person. Eventually, the initial relief leads further to a more effective anxiety-fighting mechanism and enhanced optimism. Rosemary is a type of herb that is widely used in culinary arts. Aside from its rich taste, the excellent aroma adds more vitality to the dish. The essential oil is extracted from the herb’s flowering tops. The pale yellow essential oil extracted has a woody undertone to its aroma and often quite pungent. Therefore, it is quite effective in waking up your senses, increasing vibrancy, and reducing any form of strain (mental or physical) that is produced after long hours of work at the office. The scent produced by rosemary essential oil also eliminates any lethargic feeling that can reduce productivity at work. The wood from a cedar tree is used in obtaining essential oils. The oil produced is amber in color and can be used as inhalant. People suffering from constant mental worry and strain are highly recommended to use cedarwood essential oil. It enhances your ability to focus and concentrate so you can accomplish whatever it is you have set out to do for the day. So, when you start to feel anxietyed out from work, simply inhale a few amounts of this type of essential oil to produce more clarity of the mind. Frankincense essential oils is obtained by steam distillation of the dry resin. It is used in aromatherapy to help those with anxiety issues by it providing a calming and tranquil energy as well as spiritual grounding. It helps to quiet the mind and ready it for meditation.